Full Metal Housing Offers Strength and Protection and Maximizes Product Life ? Sturdy metal housing and slip-resistant rubber feet provide protection and stability necessary for tough industrial weighing while extending the scales usable life. 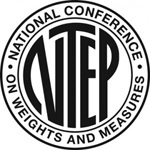 Precise Counting and Weighing Performance Produce Undoubtedly Accurate Results ? Accurate weighing and counting performance is assured through Ranger Count 4000s 1:1,500,000 internal counting resolution and auto-optimization software that reduces errors and ensures accuracy. User-Friendly Software Makes Ranger 4000 Very Easy to Operate ? The combination of SmarText? software, a centrally located count display and dedicated Sample & Tare keys make Ranger Count 4000 very easy to operate. Several Connectivity Options Provide Connection to Multiple Peripheral Devices ? Ranger Count 4000 offers the highest level of connectivity in its class through its Standard RS232 with optional Ethernet, second RS232, or USB interface. Metal Housing Ensures Protection With die-cast sealed metal housing and slip-resistant rubber feet, Ranger Count 4000 was built to maximize product life and withstand heavy duty use and ensure accurate operation in industrial environments. 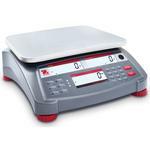 Precise Counting and Weighing Performance The high resolution Ranger Count 4000 has a 1:30,000 display resolution and 1:1,500,000 internal counting resolution. It also features advanced auto-optimization software which recalculates the average piece weight as the overall weight increases, ensuring accuracy and minimizing counting errors. Ranger Count 4000 also offers a 30 item library data storage function that can store 12-digit part numbers, average piece weights, checkcounting or checkweighing parameters, tare weights and accumulated counts or weights for quick and simple retrieval of frequently used data. Intuitive Software Supports Simple Navigation The inviting display and navigation make Ranger Count 4000 extremely simple to use. The three-window backlit LCD display includes a centrally-located count display as well as weight and piece weight displays. Eight function keys, including dedicated Sample and Tare keys, and full numeric keypad make setup and input operations simple and straightforward. 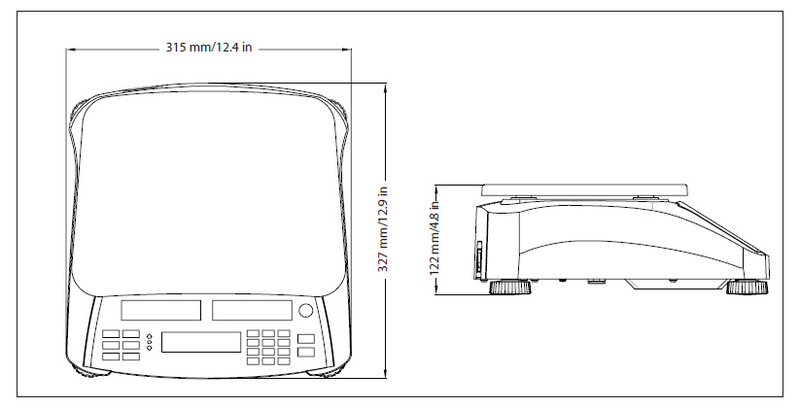 More Connectivity Options Ranger Count 4000 can be integrated into systems and connected to multiple peripheral devices through its standard RS232 with optional Ethernet, second RS232, or USB. Ranger Count 4000 can also support two-scale counting through the optional 2nd platform to support weighing jobs that require a higher capacity platform or additional platform space. Whether your data transfer requirements are simple or complex, Ranger Count 4000 offers the necessary functionality to meet your needs. Weighing ?Determine the weight of items in the selected unit of measure. Parts Counting ? Count samples of uniform weight. Check Weighing/Counting ? Compare the weight/count of a sample against target limits. Rapid Stabilization Ranger Count 4000 produces accurate results within one second. The rapid stabilization virtually eliminates your wait time and allows you to move at a pace determined by you and not your weighing equipment. Work efficiently and with confidence to ensure accurate results. Maximize your throughput without sacrificing accuracy with the Ranger Count 4000. Internal Power Supply and Rechargeable Battery Say goodbye to being restricted to working only near power outlets! Ranger Count 4000 is equipped with a rechargeable lead acid battery that can provide power for more than 210 hours! It can also be powered through the easy connect power cord that takes up minimal space and automatically adapts to different power line voltages and frequencies, eliminating disruptions in workflow due to power outages and shortages. 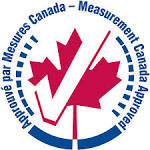 Metrology The Ranger Count 4000 meets the Class III requirements of OIML R76, NIST Handbook 44 and Canada Weights and Measures Regulations.